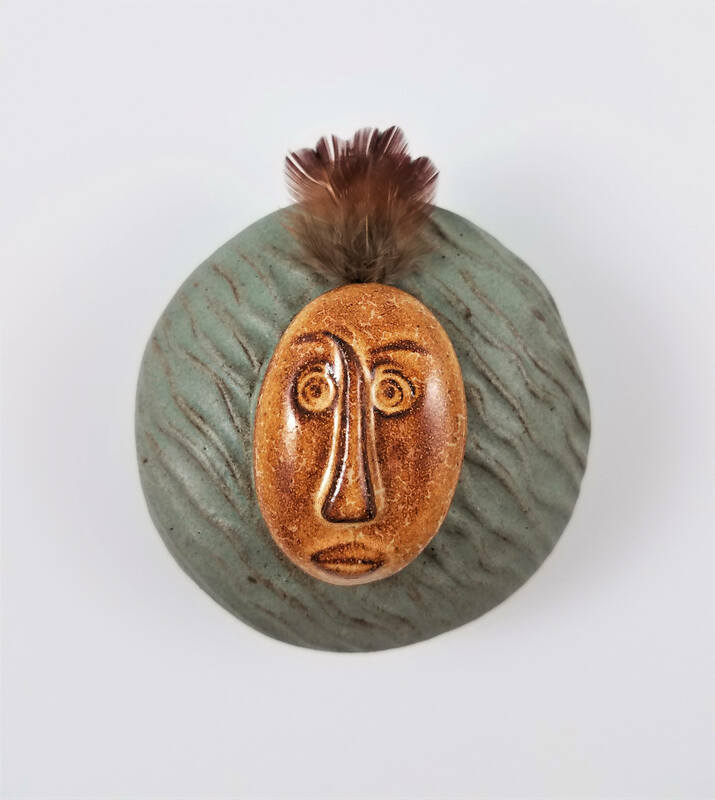 Meditate, relax and unwind with this handmade stoneware Tribal Mask Spirit Rattle. 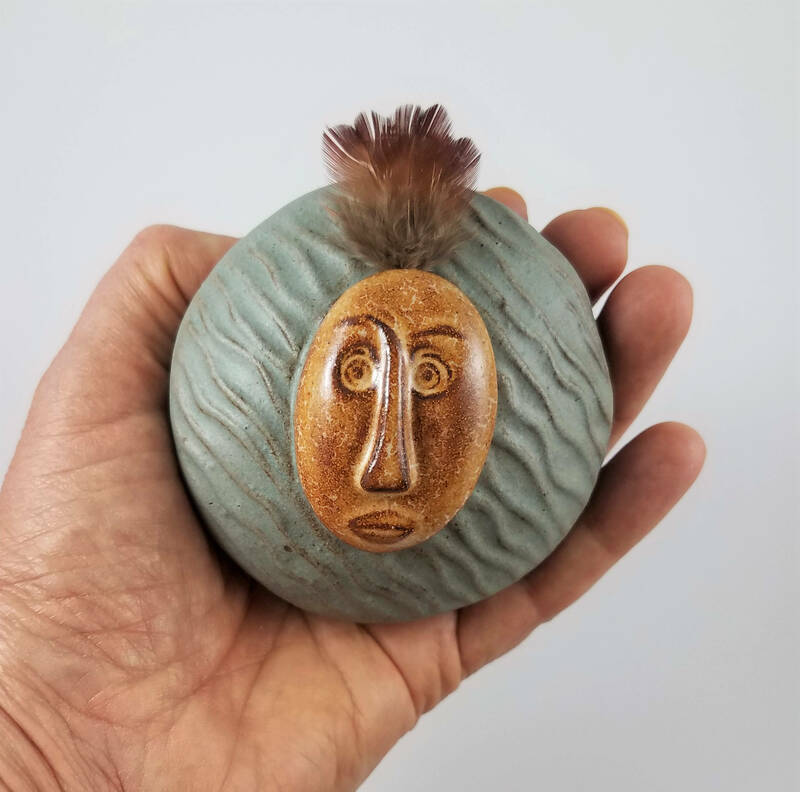 What a great stocking stuffer idea! 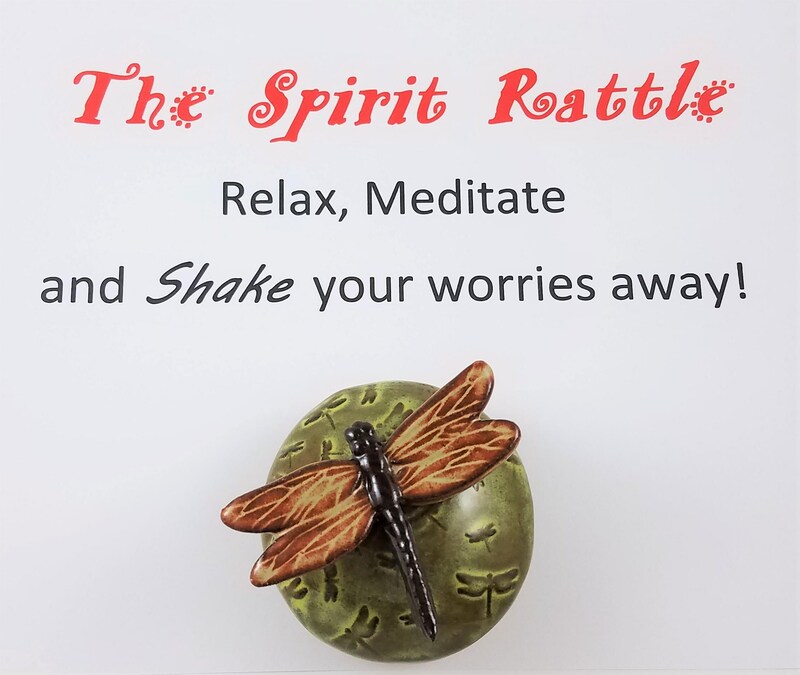 Teens and adults love collecting these and many find that meditating with their spirit rattle helps relieve stress and anxiety. 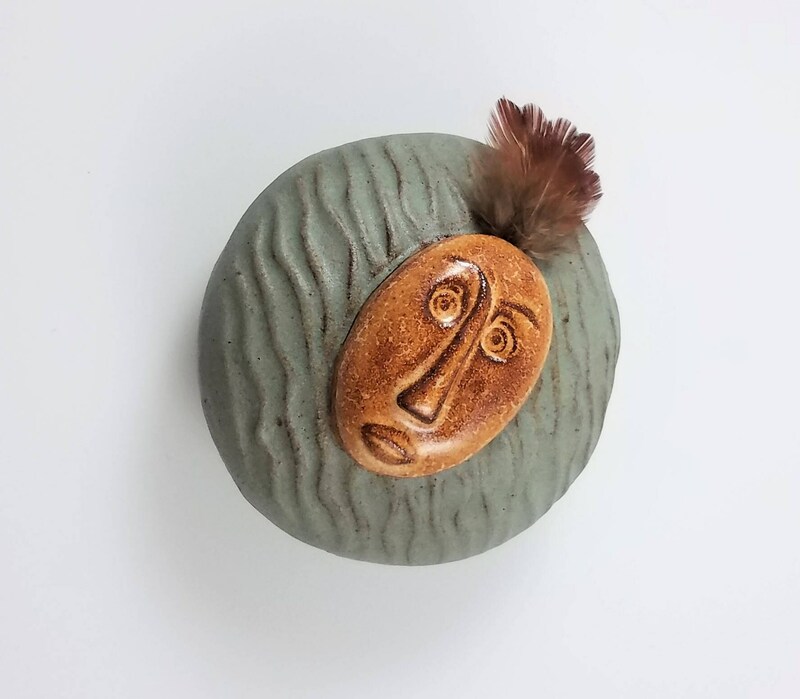 Each Spirit Rattle is handcrafted from stoneware or porcelain clay and kiln-fired. 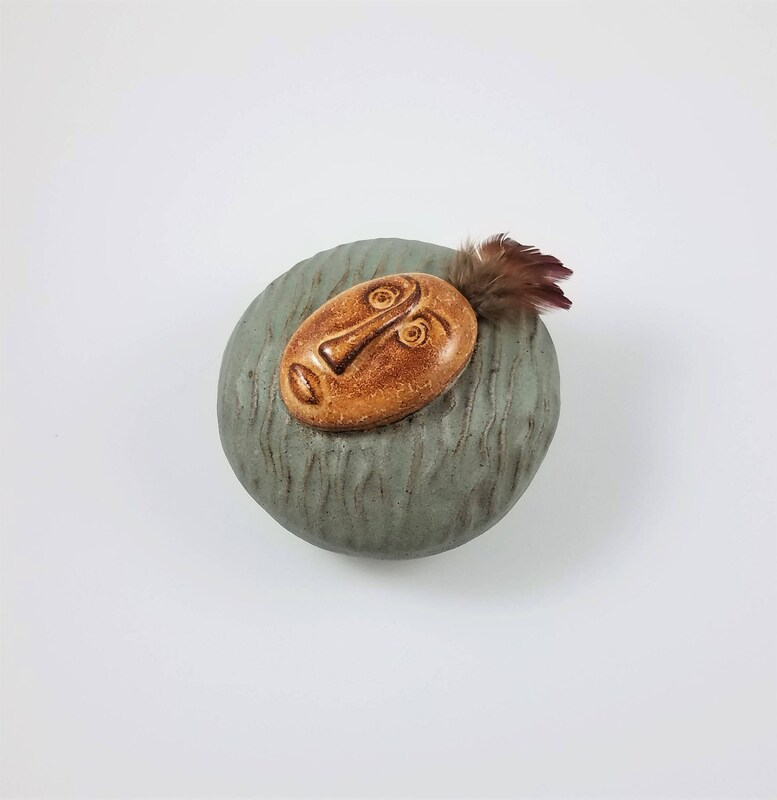 Inside are clay beads that make a unique sound when you shake the rattle.